Physiotherapy Super Hand Low Frequency Acupuncture Massage Unit - Battery operated with four sticky pads that are applied into the pain points of human body, safe and effective. 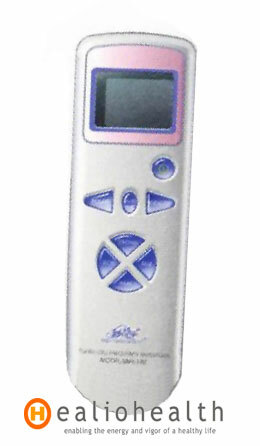 This Acu Massage device is a low frequency microelectronics controlled stimulator simulated to slow stroke, united stroke, acupuncture, massage, manipulation, cupping and scrapping with timing preset for 15 or 30 minutes. 4 sticky pads and digital LED display allows better control over the Acu Massager device.